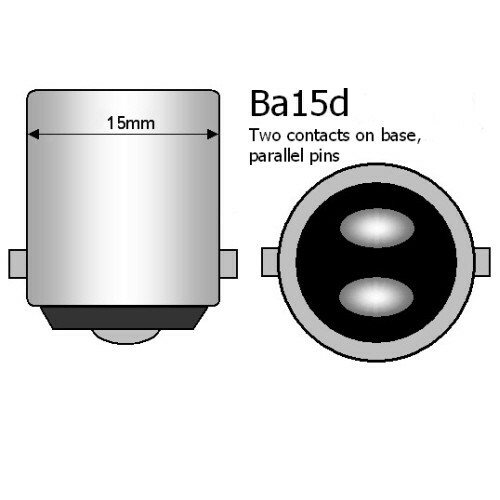 This is our unique Chip on Board (COB) LED bayonet lamp which has been designed for use in place of a 15mm Ba15d / 1142 (SBC) tungsten lamp in either 12V or 24V systems. 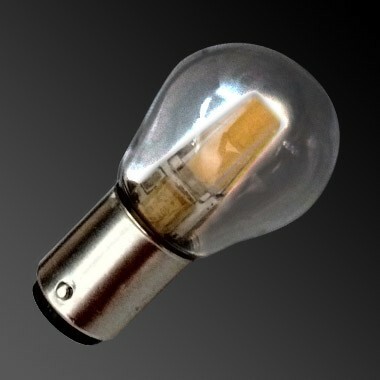 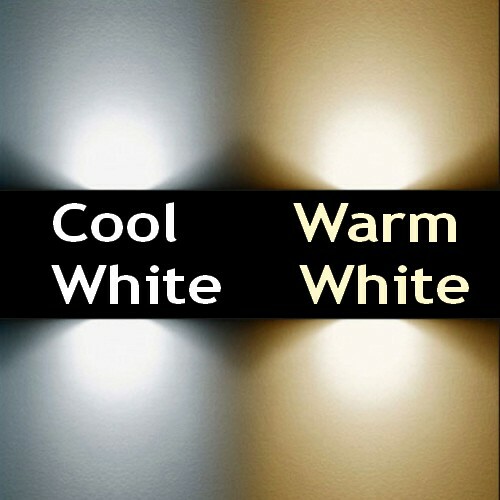 The lamp is brighter than a 10W halogen and uses just 1.5W. The lamp is identical in size to the car stop lamp (the same glass bulb is used).